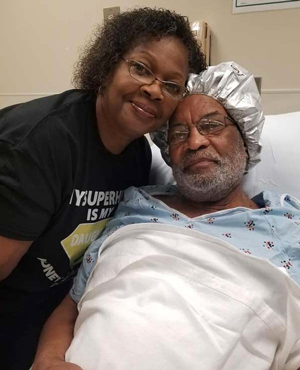 Dawn Muhammad donated the kidney Aug. 31 of this year but her journey started in 2015, when her dad, 72-year-old Lucious Daniel, gathered the entire family to tell them he had stage four kidney failure. The news brought her to tears. All she could think about was, “how could I help him.” A year later he started dialysis. (l) Dawn’s husband Frederick and their children Tariq and Nahla before surgery. (r) Lucious and Dawn leaving hospital together. The best way to help him was to be his kidney donor. The family had gone to a transplant center and Dawn Muhammad has O negative blood which makes her a universal donor, but she was overweight and in no condition to give one of her kidneys. “I knew my weight was a problem and only someone healthy could donate. God made us with two kidneys, but you had to be healthy enough to live with one and at that time I wasn’t. So, I decided to do something about it. It was December 31, 2017 and I drank eight glasses of ginger ale, my favorite, which I knew I would have to give up,” she said. “I started eating one meal a day based on the teachings of How to Eat to Live by the Honorable Elijah Muhammad and working out,” said Dawn Muhammad, referring to the two books written by the Nation of Islam patriarch. According to the Office of Minority Health, Blacks make up the largest group of minorities in need of an organ transplant. The number of organ transplants performed on Black Americans in 2015 was only 17 percent of the number of Black Americans currently waiting for a transplant. The number of transplants performed on White Americans was 31 percent of the number currently waiting. 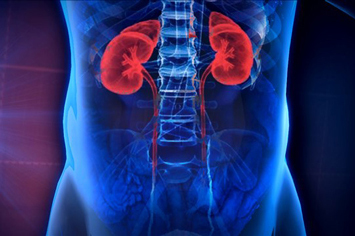 Kidney donors are either living or deceased. In 2015, 553 Black kidney donors were living and 1,476 were deceased. Black Americans have higher rates of diabetes and high blood pressure than White Americans. These conditions are known to put people at risk for organ failures. Dawn Muhammad’s secret journey was long and hard as the weight dropped but at times she began to get weak. “Once she shared with me her goal, I asked Allah to give me the strength to help her,” her trainer Tahara Muhammad told The Final Call. “We worked out twice a day doing high intensity interval training with weights. People think women will bulk up with weights, but they helped the weight to fall off faster,” she explained. “I trained with her three to four days a week; she did two days of cardio and had one day of rest. I monitored her diet of one meal a day and made sure she had plenty of water intake.” As the weight continued to drop, Dawn Muhammad became more determined to accomplish her goal. “This journey of why I was losing weight was between me and Allah. I didn’t want the pressure from people knowing the goal and asking questions about the status of the test results or how much I lost. Through this journey my faith has truly grown ten-fold. I knew that whether my father and I were a match or not, the relationship that I have built with Allah through my prayers has been strengthened,” she said. Dawn visits her dad’s hospital room the day after surgery. (l) Lucious and Dawn FaceTime from their hospital rooms after surgery. (r) Dawn and her mother Mary before surgery. By April she had lost 55 pounds and decided to tell her dad the reason she was losing so much weight. “He told me that he had lived a good life but dialysis was hard. He doesn’t feel the same. ‘I don’t feel the same,’” he said. I stopped him and told him that I had been losing the weight for me but the real reason I was losing so much weight was for him. I want to donate my kidney,” she told him. Being a kidney donor requires lots of medical and psychological exams to make sure the donor is not only physically fit but mentally fit as well. “I spent two and half hours with the psychiatrist and the doctors were shocked at my blood test results and blood pressure. They wanted to know all about my diet. I told them I eat one meal a day, also known as intermittent fasting. I eat navy bean soup, salmon and fresh vegetables. They told me to keep it up because it has saved two lives,” explained Dawn Muhammad. The story of daughter and dad garnered national attention. 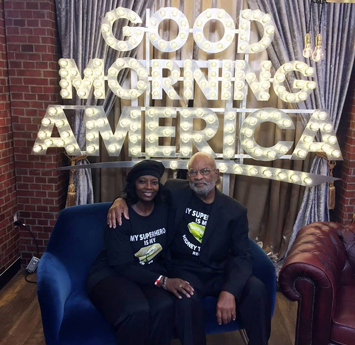 They were featured on Good Morning America, Aug. 30, the day before their Aug. 31 surgery and were interviewed by Robin Roberts. The family has been surrounded by love and support from around the country. “Two days before the surgery, I was introduced to a woman by the name of Dawn who had donated her kidney to her mom 11 years ago. She wanted to share her experience and answer any questions that I may have. 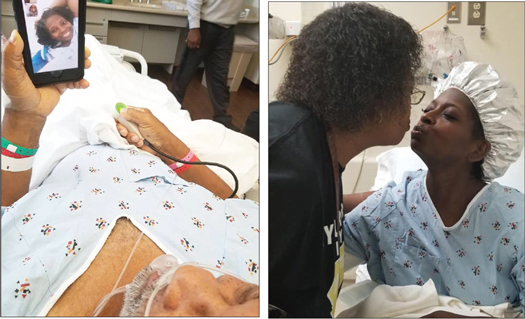 She asked me for the date of the surgery and I shared with her, ‘Friday, August 31st at 7:30 am at Piedmont Atlanta Hospital,’” said Dawn Muhammad. The church Dawn Muhammad’s parents attend welcomed her with open arms. They were not bothered that she dressed as a Muslim and opened her remarks with “In the Name of Allah. ...” The pastor has known her for 20-plus years and the church members were familiar with her as well. 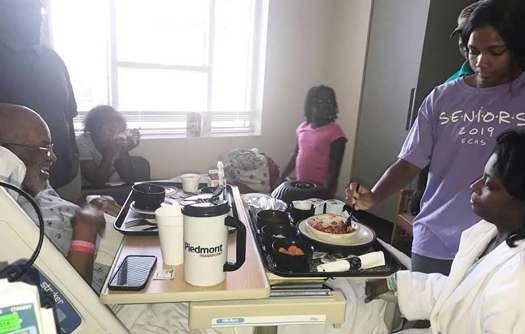 “Now that the surgery is over, we pray that people will take a genuine look at their relationships with family, friends, neighbors ... check on them, take them to the doctors, take healthy meals, eat healthy (themselves), exercise, have an overall better quality of life,” said Dawn Muhammad. “We have been blessed to receive the support from so many people—family, friends, coworkers, brothers and sisters in the faith (Muslim and Christian), and even strangers that have said that their lives have been affected by receiving the good news that was shared about our journey and the surgery. We didn’t expect all of this media attention. 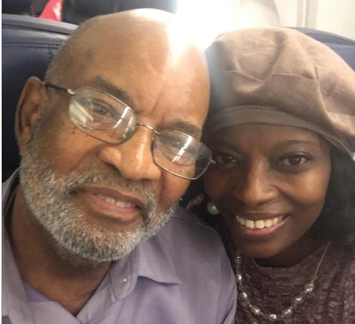 I am just a daughter wanting to give her dad a kidney in hopes that he would have a better quality of life,” she added. She explained that her dad’s new kidney is working like a perfect match. Dawn Muhammad remains in a lot of pain as to be expected. Her recovery is expected to take weeks and she is home.